Everywhere you look these days people are talking about toxic this and toxin that. However, not many of these claims are backed by any sort of science. This has lead you, an avid health and fitness enthusiast confused and not really sure what to do or what to believe. Today I’m going to explore 3 thing that are actually toxic and give you some reasoning so that you’re clear on why you should avoid them. First cab off the ranks. 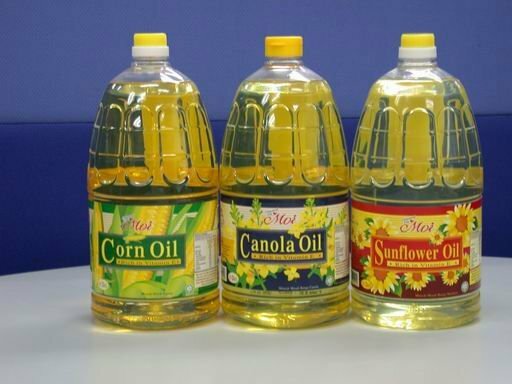 Refined vegetable and seed oils. Things such as corn, sunflower and soybean oil. These grew into popularity when doctors urged us to replace saturated fats with vegetable oils to reduce cholesterol intake and prevent heart disease. But we now know that when these bad boys are consumed in excess that they can actually cause harm. Furthermore, they are highly refined and contain no nutrients. So when cooking your best bet is to stay away from seed and vegetable oils. Your better options when cooking are the likes of olive, macadamia, and coconut oil. By far the most horrendous for your health is trans fat. They’re created by adding hydrogen to unsaturated oils so that they can be turned into solid fats. The things is – your body doesn’t recognize or process trans fats. This causes a wide array of problems and when eating in excess can cause a serious bout of health problems. 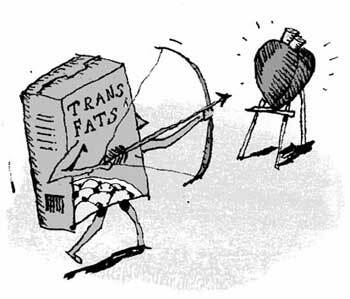 So, from what we know the most appropriate thing to do is to avoid trans fat as much as possible. Does having the occasional fried piece of food or piece of cake kill you? However overtime these can cause chronic inflammation in the body and this leads to acceleration of disease. When picking fat sources aim for things naturally occurring such as fattier cuts of meats, organic butter, and avocado. Bisphenol-A (BPA) is a chemical found in the plastic containers of many common foods and beverages. The main places you will find BPA is in bottled water and packaged foods. We know that BPA can leak out of the containers our food is kept in and make it’s way into that said food or beverage. The issue with BPA is that it is believed to mimic estrogen by binding to the receptor sites meant for the actual hormone, this has the ability to disrupt normal estrogen function. It’s been noted that high levels of BPA are associated with infertility, insulin resistance, type 2 diabetes, and obesity. The link here is that all of these issues come from poor nutritional choices and foods that usually come out of a packet and not made fresh. Furthermore, there is a suggestion that a connection between high BPA levels and polycystic ovarian syndrome (PCOS) which the cases of this syndrome are rising as of late. What can you do to reduce your BPA exposure? The first thing would be to swap out all of your plastic containers for glass. Pyrex does very good glass containers and is available at your local supermarket. (Which is The Body Consultants Way). Compared to the world we lived in 50 years ago it is definitely more toxic. And exposure to toxins is inevitable. So there is now a few things to ponder on. Does having some vegetable oil, trans fat or drinking out of plastic bottles kill you immediately? However by reducing vegetable and seed oils, limiting trans fats and eliminating BPA from your day to day life you’re going to be to taking a positive step in minimising your toxic load which can only benefit your health in the long run. PS – if you’re looking at getting started with some training simply click the link below to apply for our beginner’s strength training program. It’s a comprehensive program where we show you how to train and so that you can finally reach your goals.